The 30th of July, 2016. I was ill with high temperature, but happy as a pig in mud. 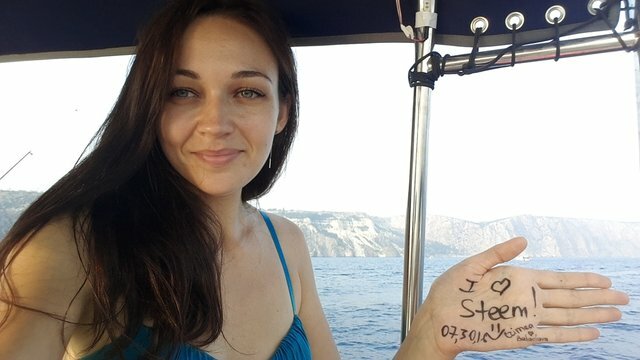 I was going to write a post on Steemit about my sea adventures! After admiring beautiful Crimean scenery we were swimming like crazy! Then we had a fishing party. Our captain got 4! Fishing for everyone! Friend's daughter liked it very much! I caught 1, then 2! It was amazing time! I made short video with the Coast of Balaklava. Fantastic sunset saw us off! Goodbye, Balaklava! I'll miss you ! Wow! I had no idea it was so beautiful in that region. Is the cost of living high? However, the cost of living was forced up with appreciation of the dollar. If we talk about utilities, it is cheaper than in the rest of Russia. If we talk about products, fruits, vegetables, they are more expensive than on the continent. But, honestly, the locals know the cheap places. We live. Live in peace.